Finding a home for more than 250, 000 archival records sounds daunting, doesn’t it? This was the task at hand when the Land Centre on Vulture St at Woolloongabba closed. Never known to balk at a challenge, the Queensland State Archives’ transfers team worked diligently through 2017 and 2018 to get these records safely stored at Runcorn. So, what are these cartographic and survey records? They are evidence of the nature, use and occupancy of Queensland land, as well as the potential of this land. Among them is a series titled Survey Field Books. These A5 bound books contain survey data, and notes made by surveyors working in the field. Contractors hired by the Queensland Government created 55, 420 survey field books between 1886 and 1997. One of the instantly recognisable named surveyors is Clem Jones, AO. The 1947 field book for Lots 1 to 3 on Registered Plan 64935 in the Parish of Bundaberg, County of Cook created by Clem includes bearings, distance measurements and boundaries. 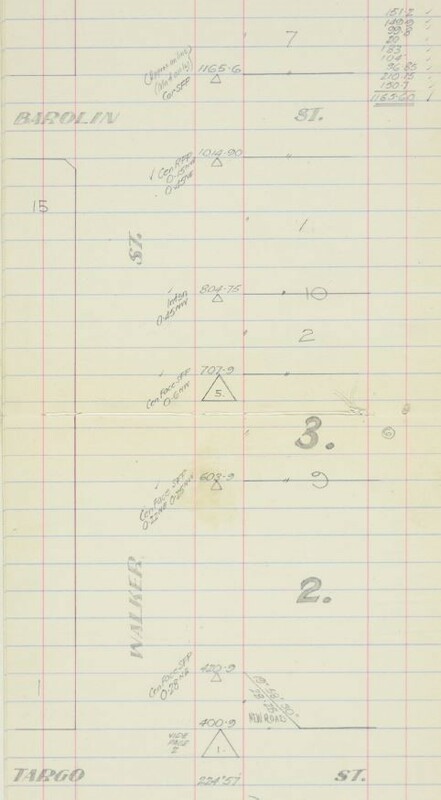 Look closely at page 7 of his field book to see recordings about Lot 2 and 3 bounded by Walker, Targo and Barolin Streets. You can view the complete field book for RP64935 here. As far as we know, there are no surviving contemporary indexes for these records but all are easily found by searching with keywords in our catalogue. You are welcome to visit us to access any of these records and photograph them, free of charge. Epilogue: Clem became Lord Mayor of Brisbane in 1961 and he remained in this office until 1975. 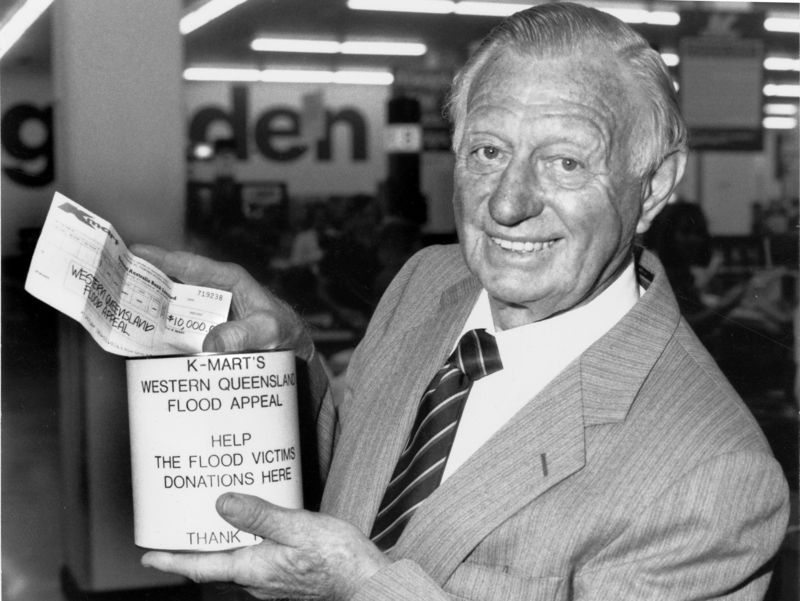 In 2010, the Brisbane City Council found a fitting legacy for Clem. The eponymous CLEM7, North-South Bypass river crossing tunneI was named in honour of this land surveyor who today remains the longest serving Lord Mayor of Brisbane.